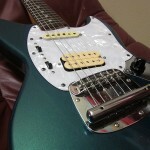 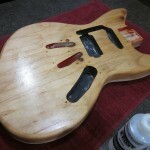 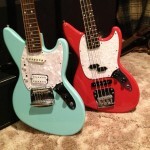 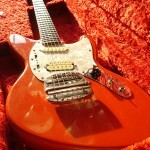 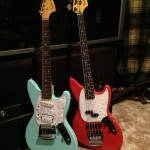 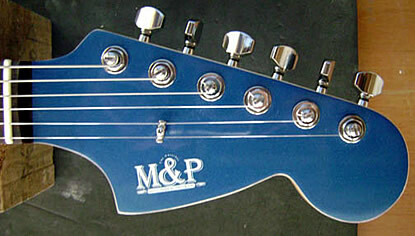 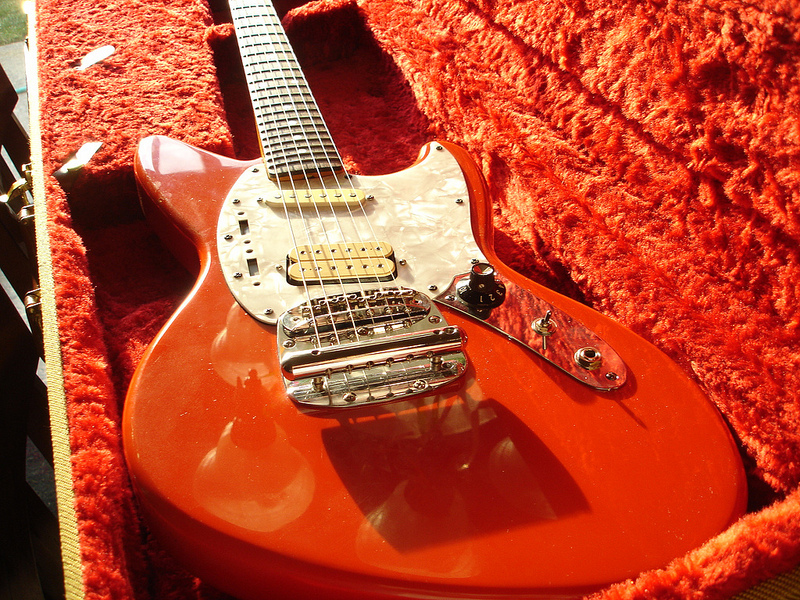 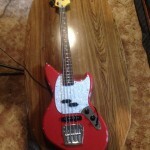 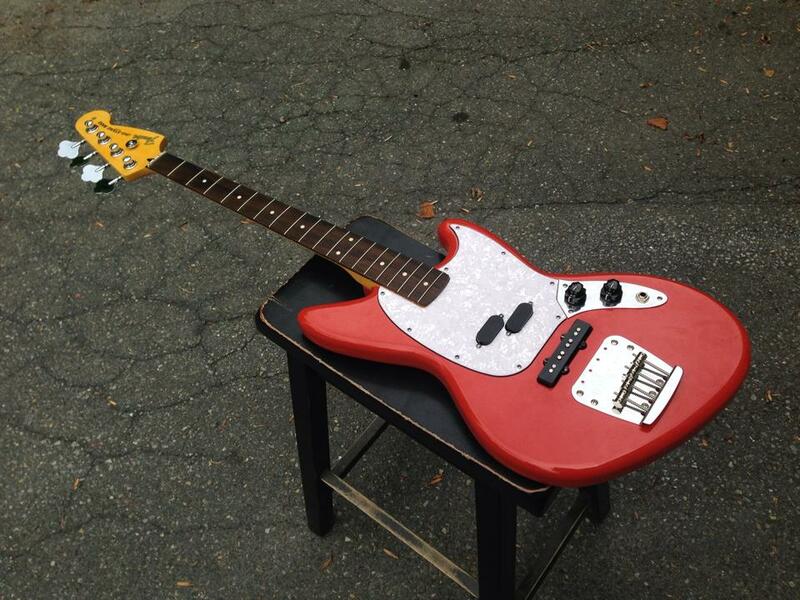 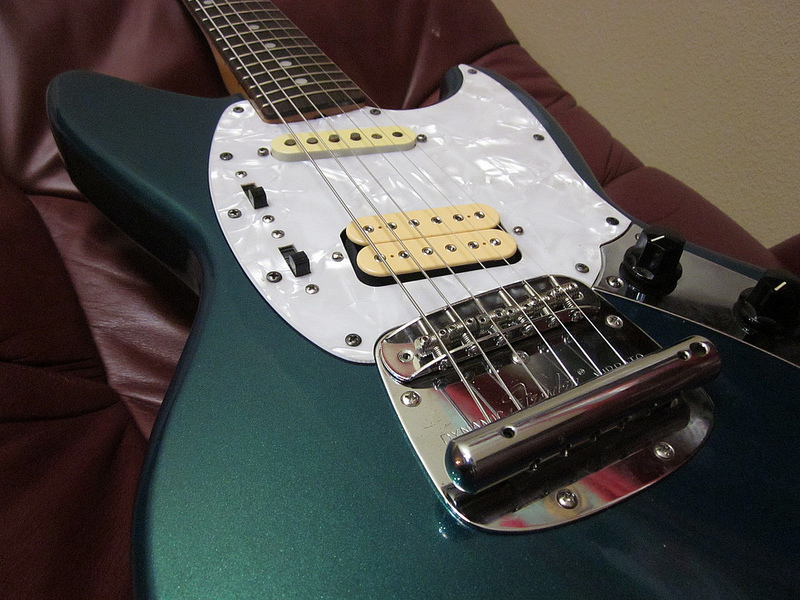 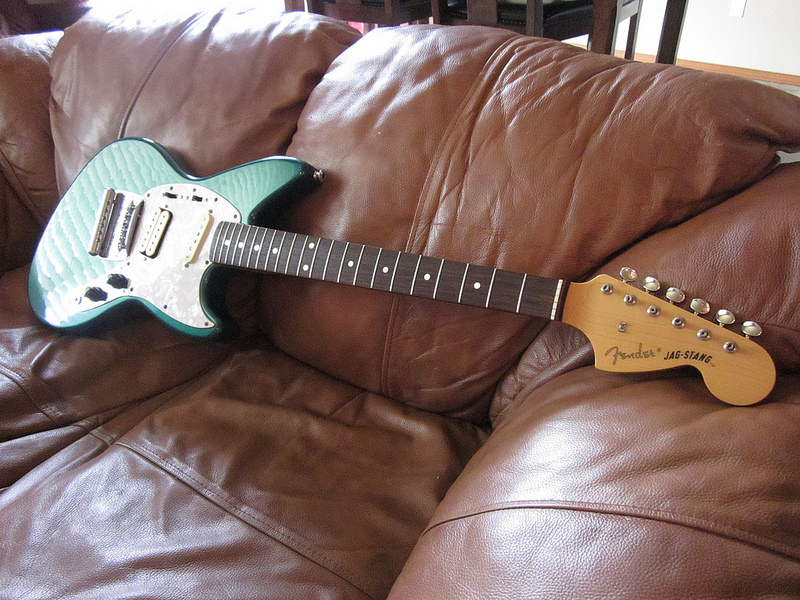 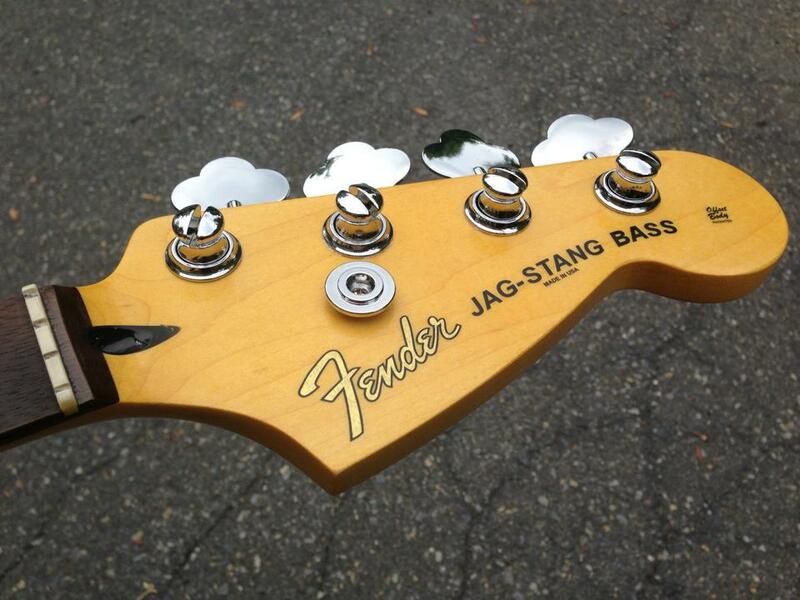 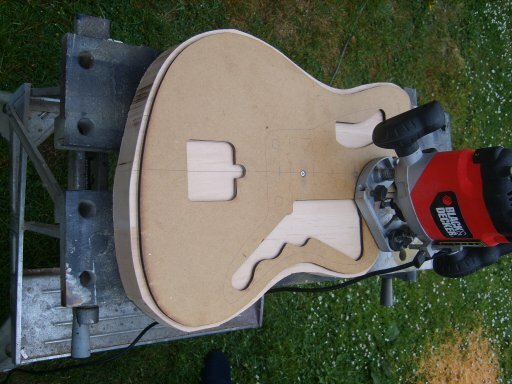 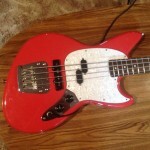 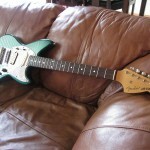 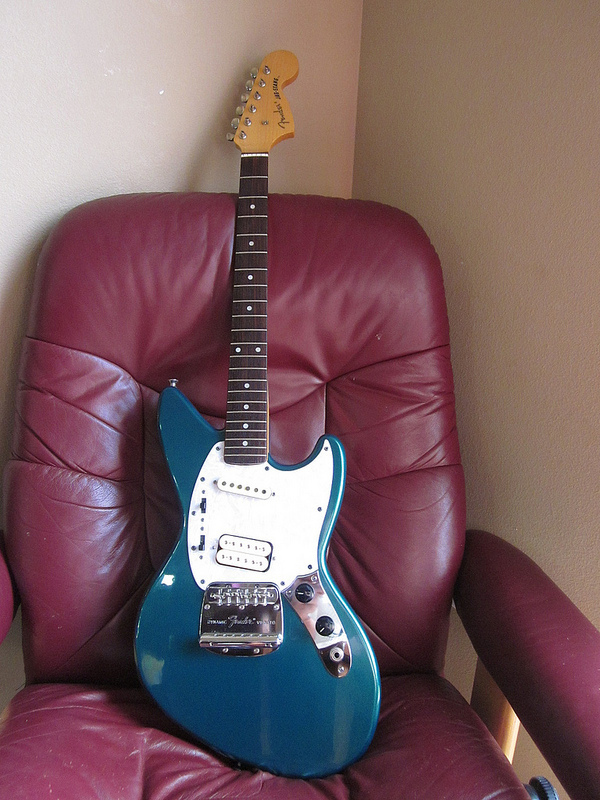 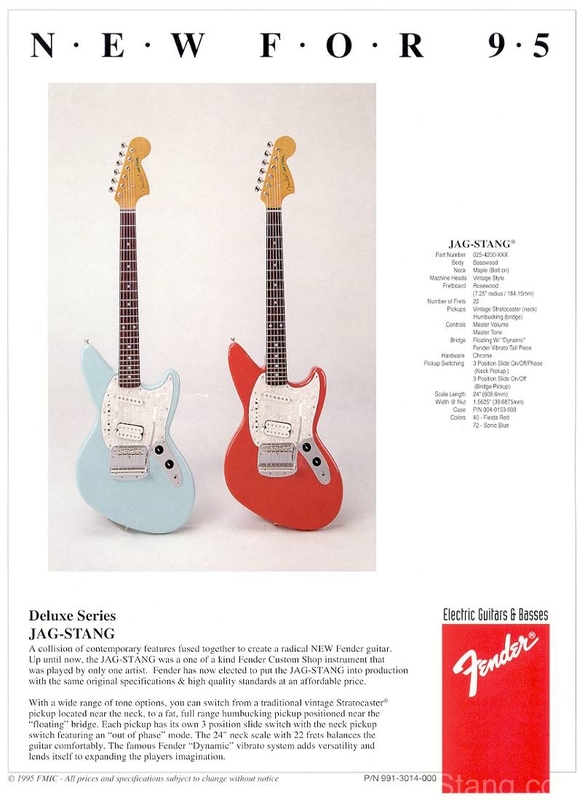 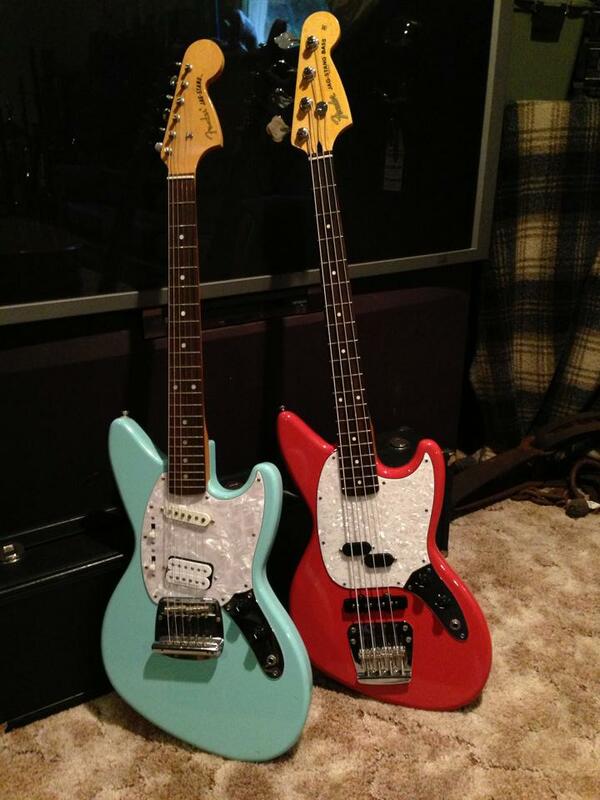 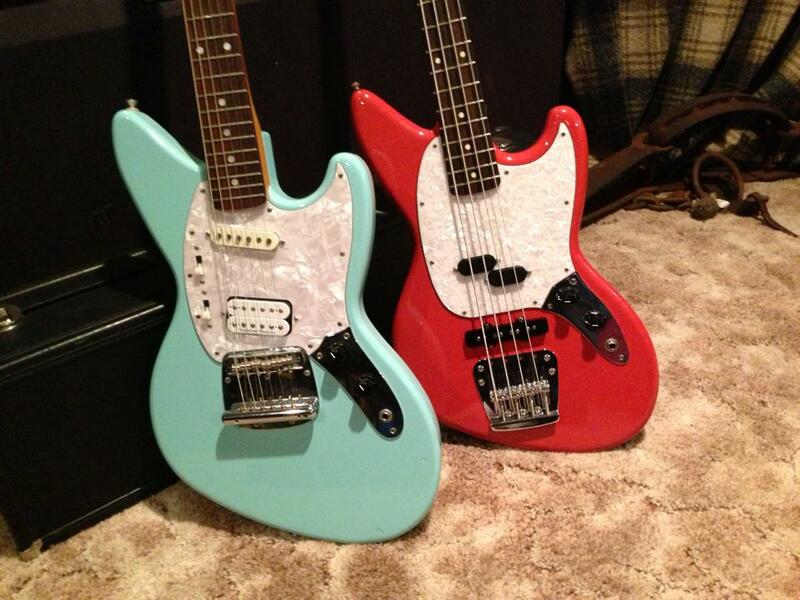 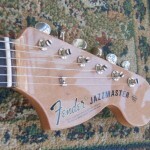 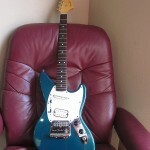 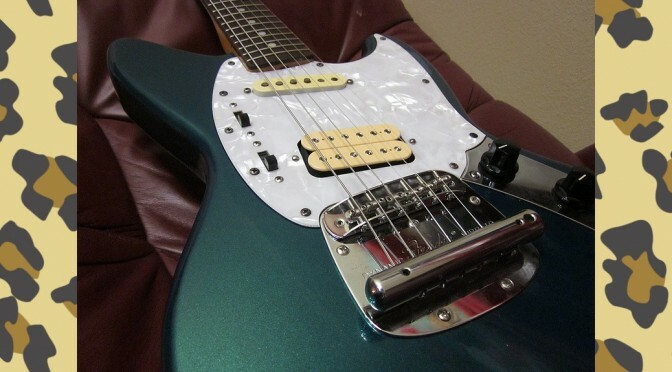 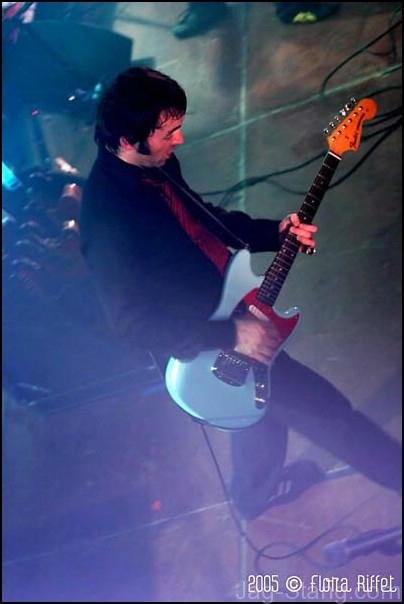 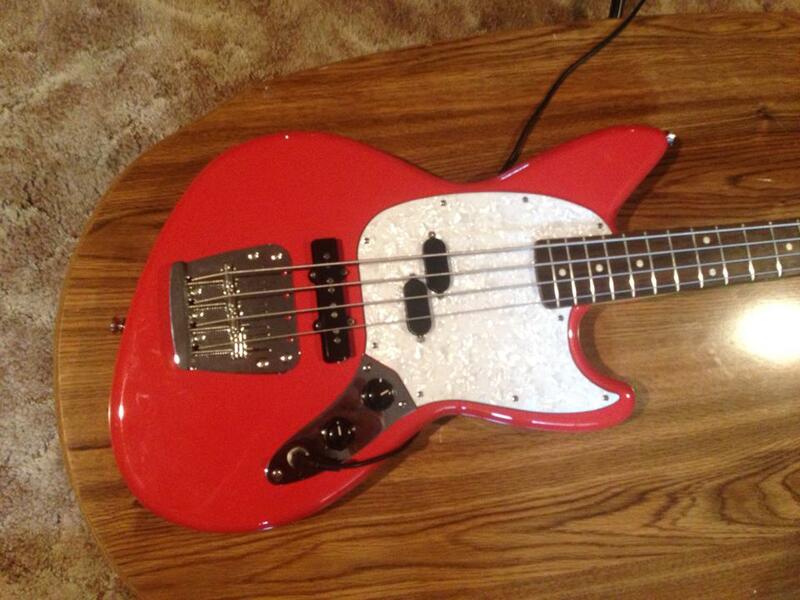 We love featuring the project guitars of our forum members and regular visitors. 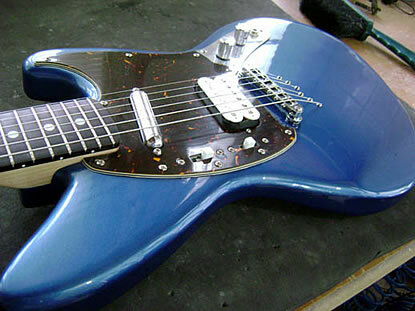 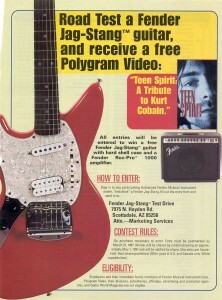 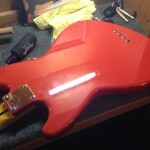 Here is another great project guitar from forum regular CROSS. 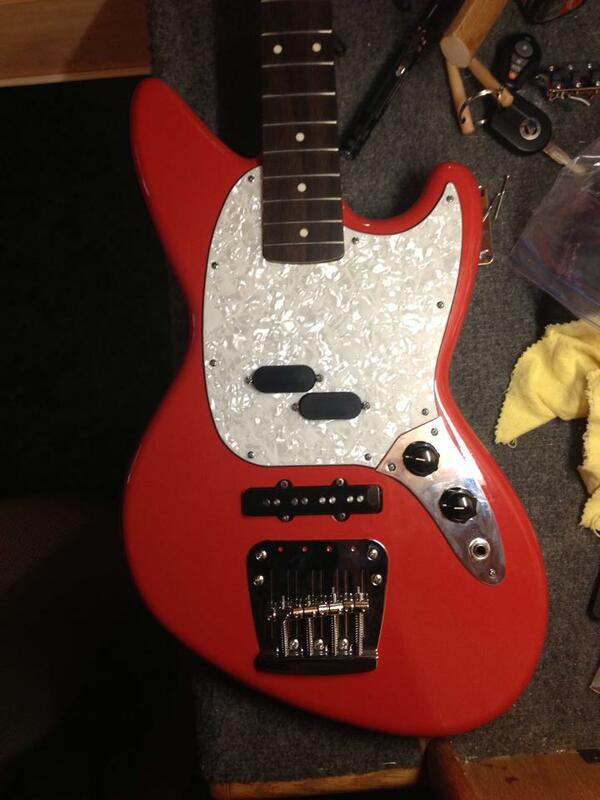 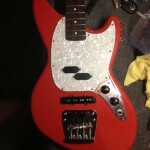 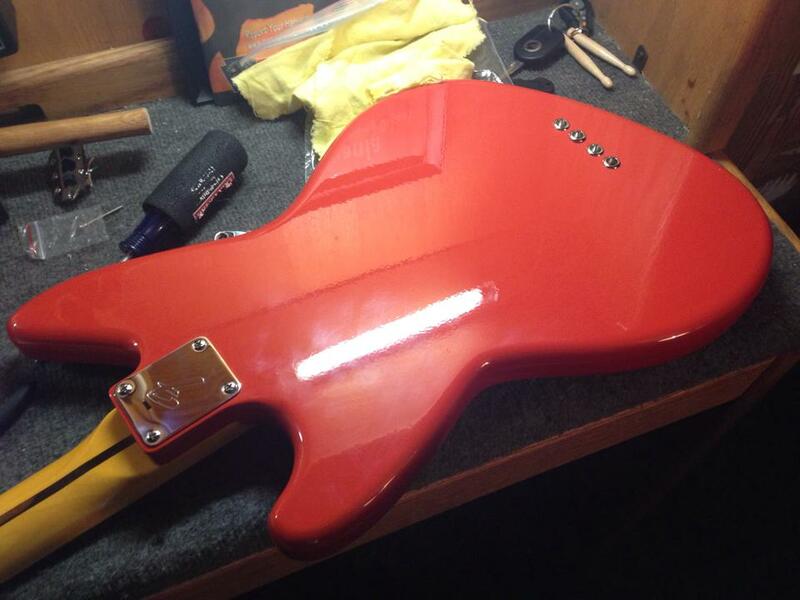 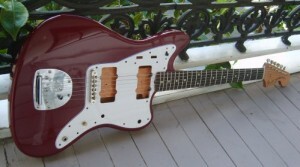 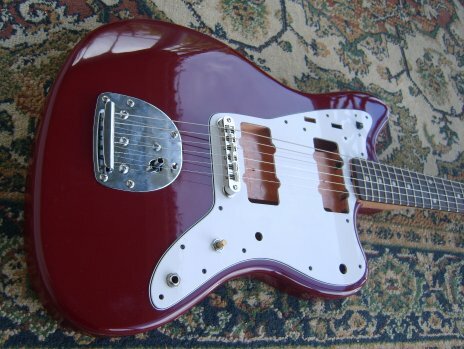 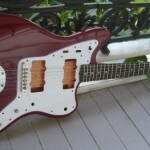 A regency red jazzmaster project. 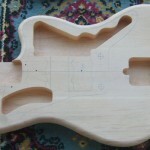 Below are details and photos of CROSS’ project. 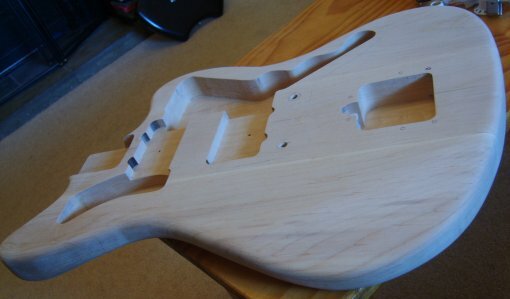 CROSS wrote: The body is alder. 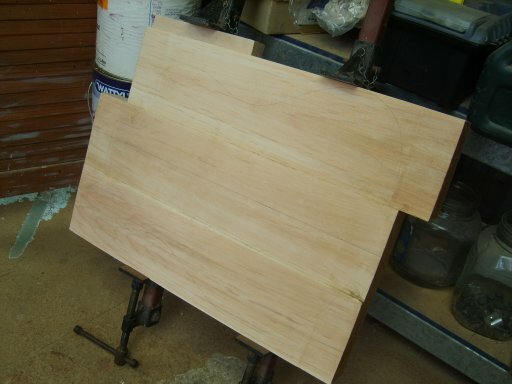 I bought the timber off Ebay from America. 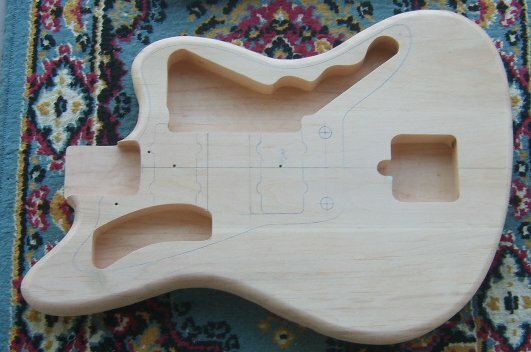 The template is from guitarbuildngtemplates.com. 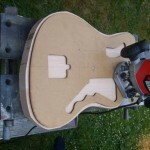 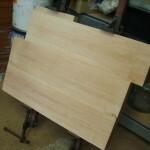 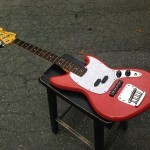 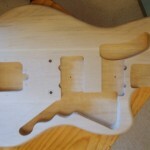 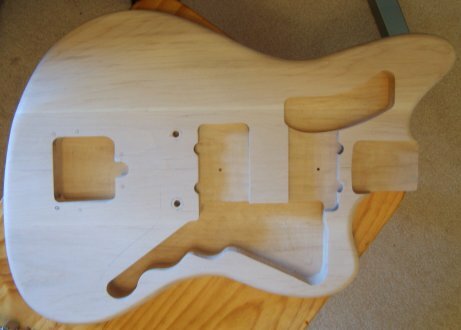 These templates are not ‘Fender-accurate’, I think they are copied from Warmoth. 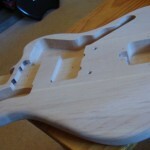 The shape itself is fine, but the neck and body cavities needed a bit of adjusting. 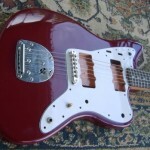 It fits the US jazzmaster pickguard which I bought from Dazbootman. 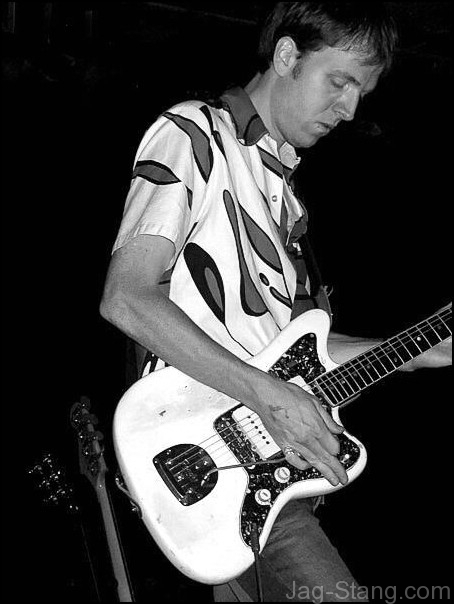 Just w/b/w. I may upgrade to brown tortoishell. 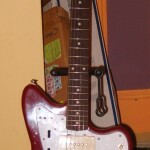 The neck is from allparts. 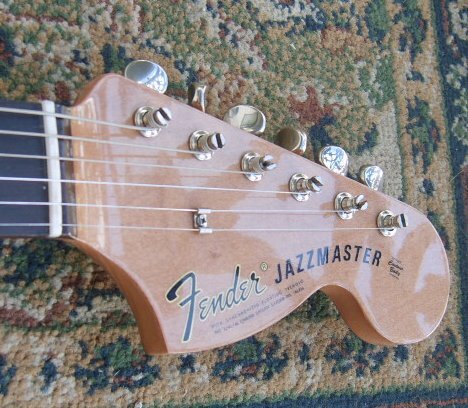 It’s an amazing neck. 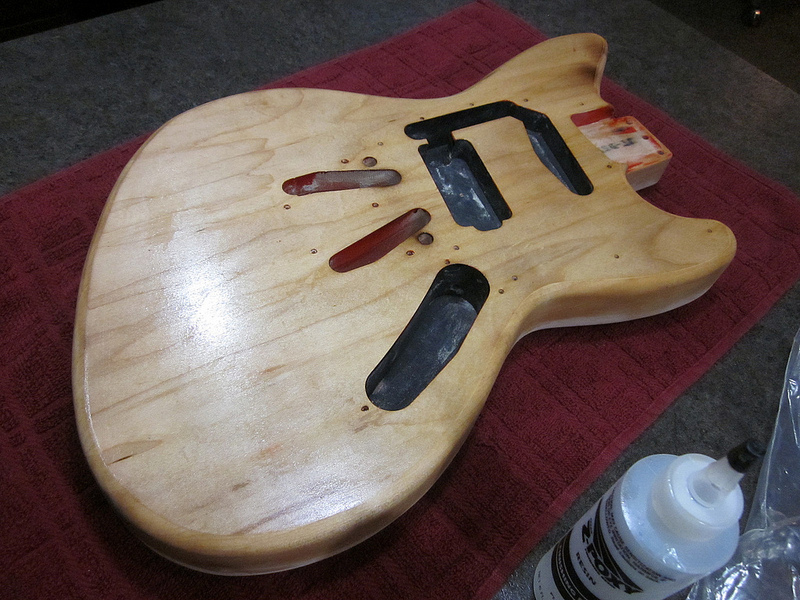 7 1/4″ radius. 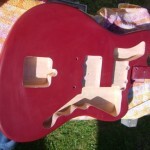 I stained it, sprayed it with gloss auto acrylic. 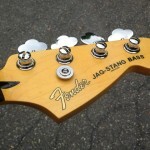 The decal is from decaljoe. 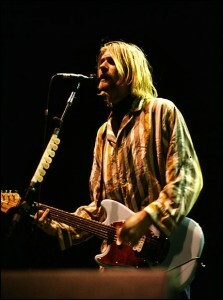 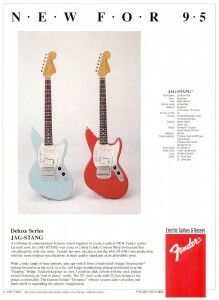 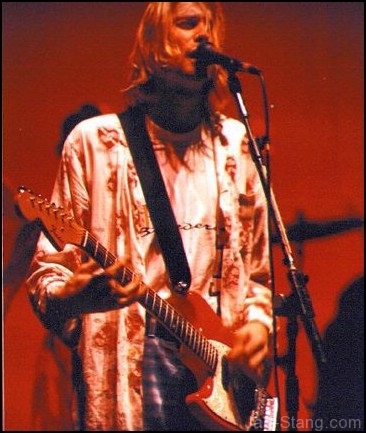 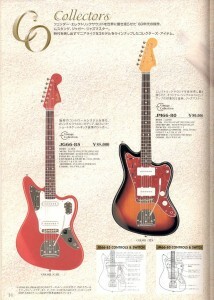 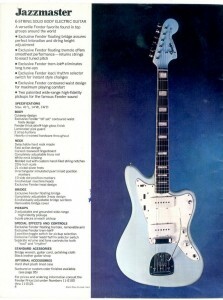 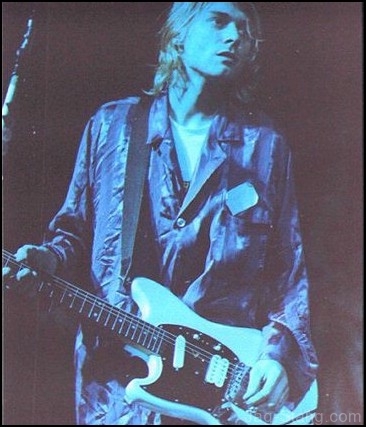 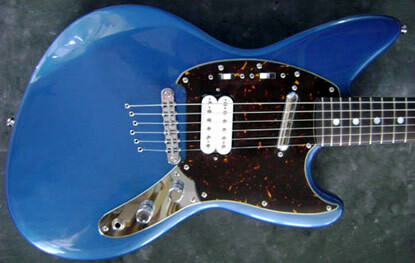 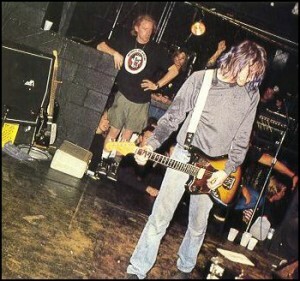 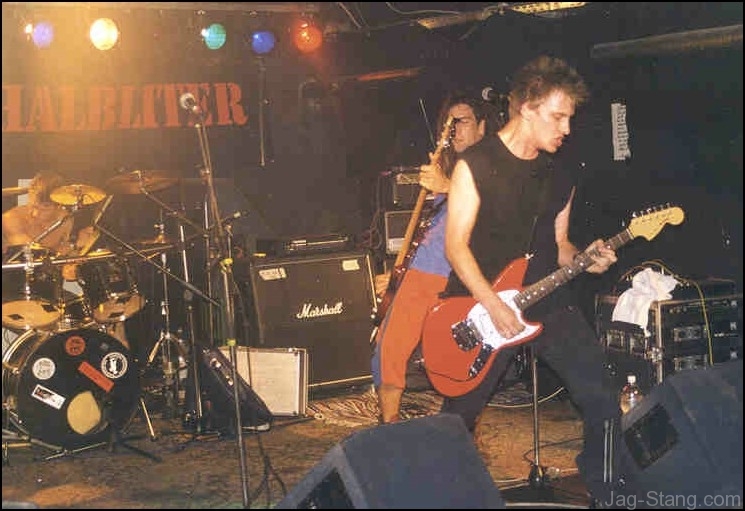 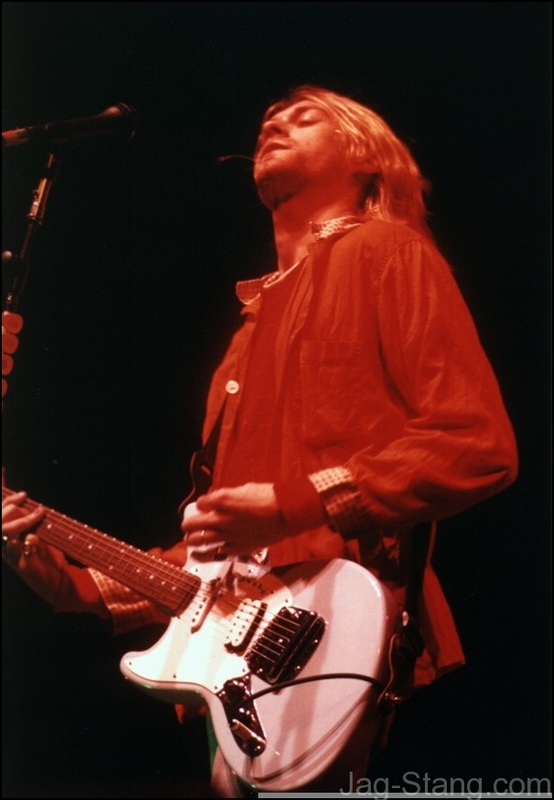 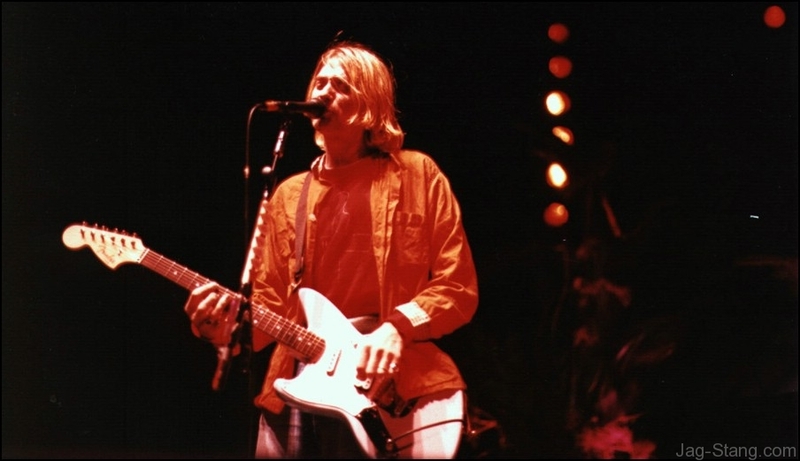 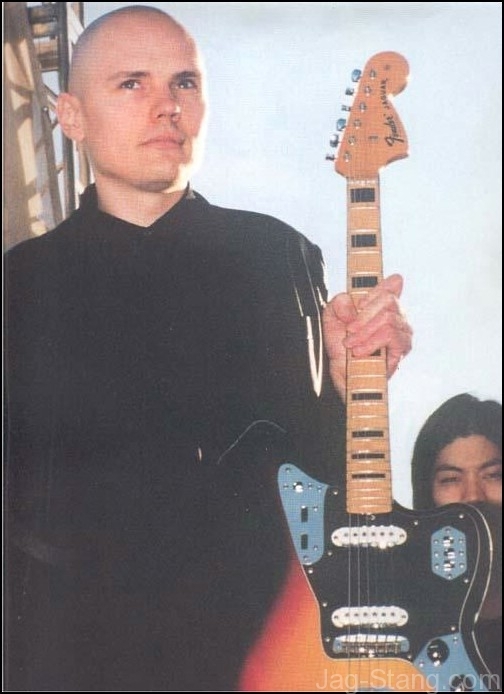 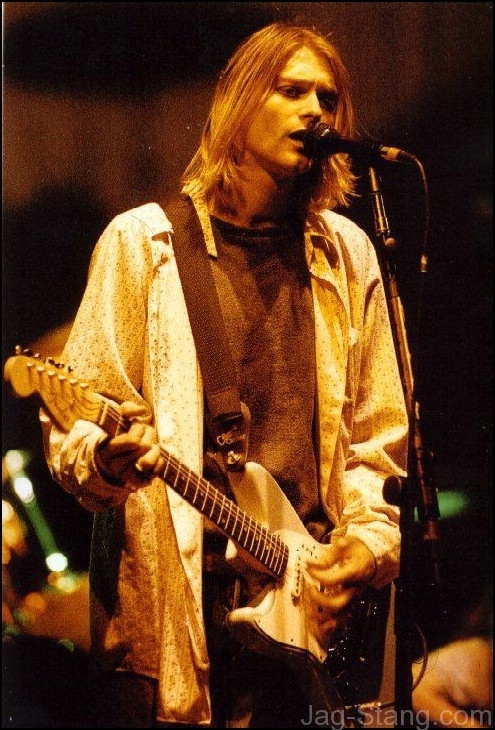 I would have liked to have built my own neck with the correct Jazzmaster design , but I don’t have the time. 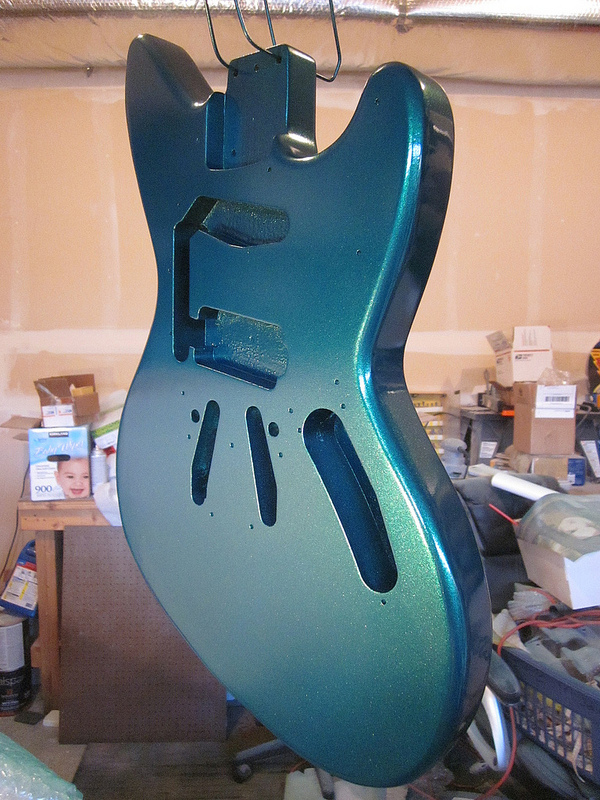 I finished the body with Auto acrylic. 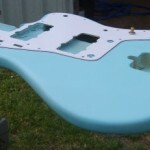 I have used this colour before with the Musicmaster project I made a while ago. 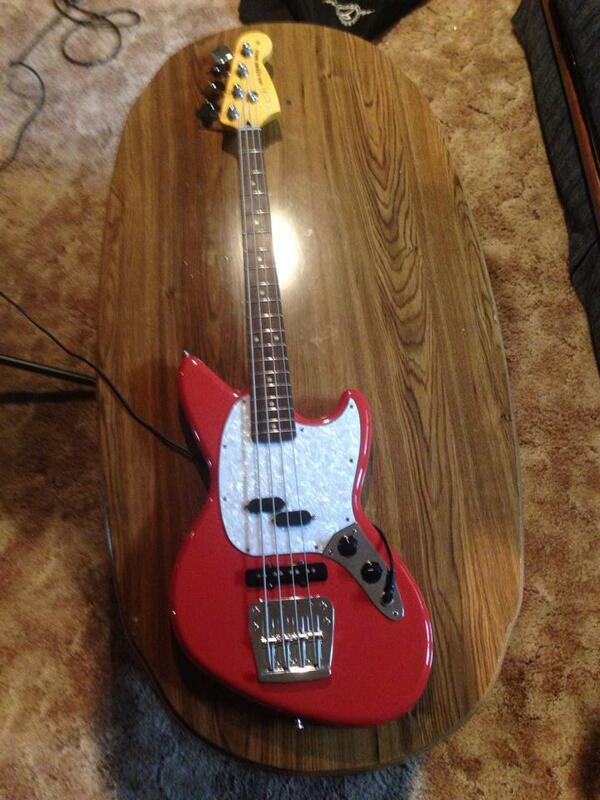 It polished up nicely. 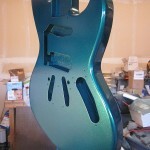 It’s very fragile paint, but keeps the shine. 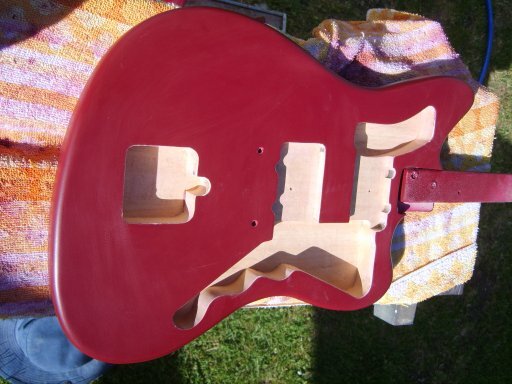 AVRI pickups with cream/aged covers.